There are some things in the world that we have been convinced is so difficult to make, we could never make it ourselves, so we’d better leave it up to the professionals. Building a rocket ship? Oh yeah. A computer? Definitely. But most of our food, like cheese, it appears, it not as difficult to make as I thought! Until I moved to Cameroon in 2008, I never would have thought of making homemade tortillas – why would I, when I can buy them from a store? But I had to improvise over there, and discovered quickly that tortillas are just a combination of flour, oil, salt and water, and super easy (if not as flat as the machine made ones). I’ve also become a homemade bread convert. I’m not saying that cheese is as easy as that, but last week, I attended an introduction to cheese making workshop that demystified a lot of it. In this workshop at the Eat the Rich Community Kitchen, we got to learn how to make 3 different cheeses from David Asher Rotsztain. My favourite, and the easiest to make, is a chevre – a basic creamy cheese made from goat’s milk yoghurt. 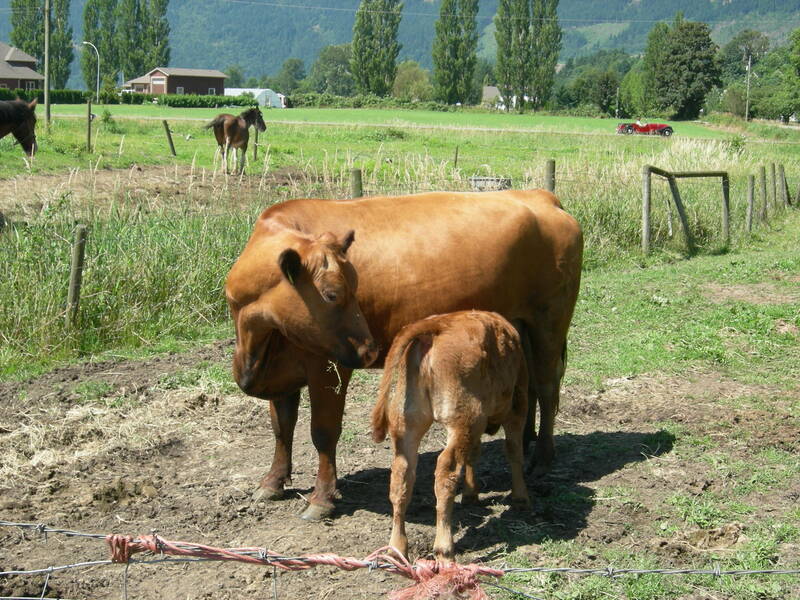 Happy cows at Farm House Cheeses in Agassiz, BC. Since I went vegetarian just over 4 years ago, I have struggled with the question of cheese. I love cheese, I admit it. But I know that most of it comes from cows that are kept in those same kind of factory farms that ensure they live miserable lives, and contribute hugely to climate change. Through this workshop, I also learned the details of where rennet comes from, a key ingredient in many (but not all) cheeses. Rennet is taken from the 4th stomach of a calf that had to be slaughtered to get it. This definitely makes many cheeses not vegetarian. I’m not saying that I will instantly switch to making all my own cheese, as sweet a dream as that may be. But I do believe in taking steps, and I will do my best. For someone who very eloquently and effectively explains why reduction is worthwhile – why you don’t have to necessarily become a vegan overnight, but take steps to reduce meat (and, in my extension, dairy) consumption, see Graham Hill’s Ted Talk, Why I’m a Weekday Vegetarian. What kind of things did you used to think you could never make, then found out it wasn’t so hard? I encourage you to try to make something unexpected – then maybe not have to buy it again!